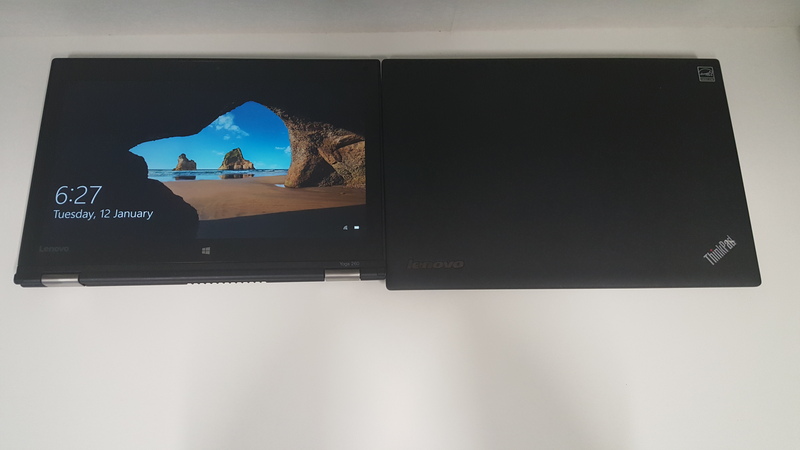 The consumer series of Lenovo Yogas has been making leaps and bounds – from the Yoga Pro 2 I reviewed, up to the new Yoga 900S – many models have come out, all with their improvements from the previous, and attracting a lot of attention. However, the Yoga 260 and 460 are the first ThinkPad series of Yoga laptops since the ThinkPad Yoga 14 (along with the 15 and 12 models) which were decent laptops, but didn’t get too much fanfare. It was a little on the hefty side for weight, and a little bit chunky which made other options such as the drool-worthy X1 Carbon more attractive, despite not having a tablet mode. It was still an improvement however, over the earlier ThinkPad Yoga which was too weighty and thick to be a decent hybrid laptop. When I first saw one of these, it wasn’t really a consideration. 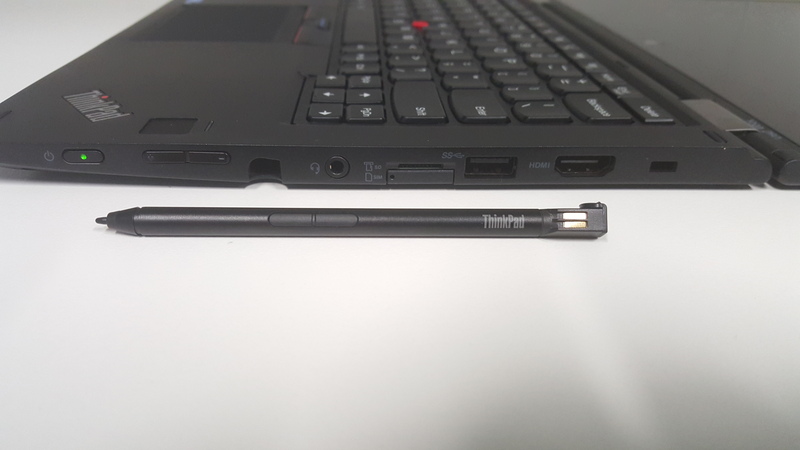 At the time, the ThinkPad Helix seemed to make more sense with it’s proper tablet mode and crazy battery life, due to having a second battery in the keyboard base. 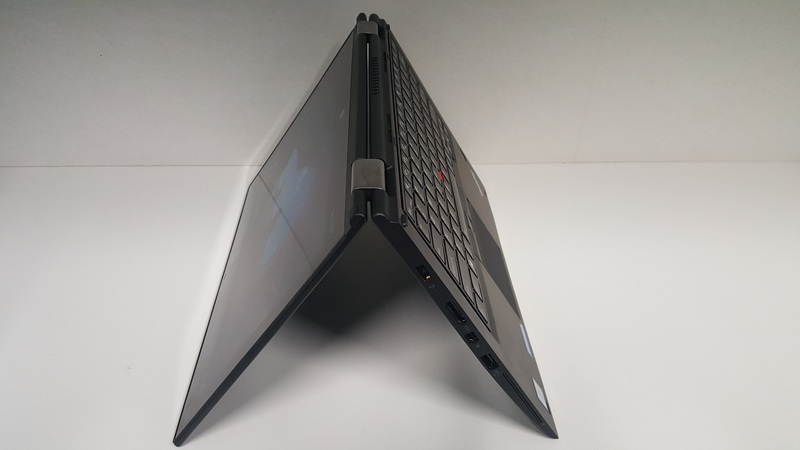 That has all changed – CES 2016 had a plethora of laptops launched, including the highly regarded ThinkPad X1 Yoga – but you can’t get those yet. Before all those were launched, the ThinkPad Yoga 260 started coming out in Q3 2015 (not that I could get one until Q1 2016!) and were the first ThinkPad Yogas along with the larger ThinkPad Yoga 460 to feature Intel’s 6th Gen CPU, codenamed Skylake. 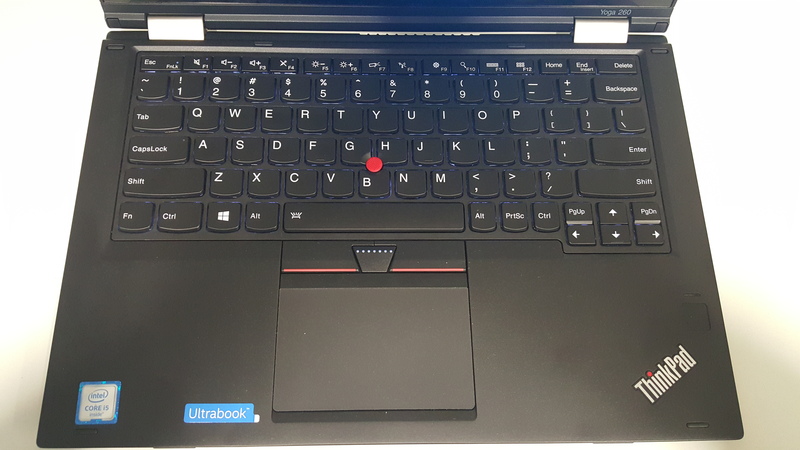 It is worth pointing out, that any Lenovo laptop under the ThinkPad name are incredibly robust, and have standards to Mil-SPEC and beyond Mil-SPEC, which is impressive that they now have such thin devices that still meet these standards. So here I am, with a Yoga 260 sitting next to me. First impressions of the device are that it’s not as small as I expected for a 12.5″ device, but it’s still reasonably light. I’ve spent some time playing around with it, so I’ll try to cover the bits and pieces I’ve found interesting about this particular model. 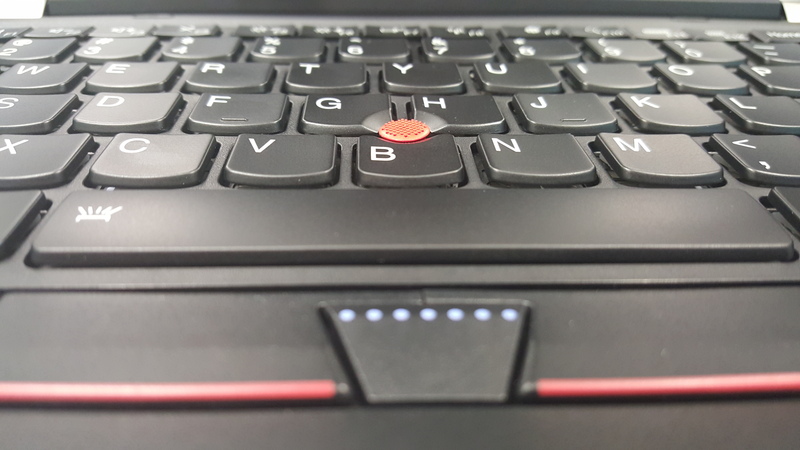 Keyboard – it’s a nice keyboard, the standard I’d expect from a ThinkPad. Keys are nicely spaced and easy to type on. 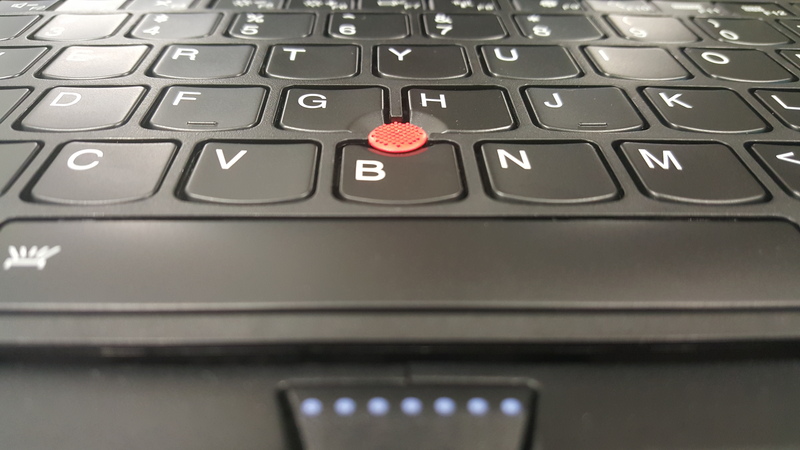 The trackpad is very clicky which I like – it’s a proper click when you press into it rather than a light click. It has the two proper left/right buttons for those who prefer it, but the standard gestures and left/right click work on the main trackpad too. Screen – I don’t like the lower end 1366 x 768 option, but love the 1920 x 1080. Perfect res without being over the top (I don’t think you need more than this on a 12.5″ screen). It doesn’t have a particularly thin bezel, comparing against a 3 year old X1 Carbon, the Carbon is a lot thinner. I’d be curious to know what reasons the engineers chose to not go thinner. At the same time it’s not too thick, but makes the laptop more of what I’d expect from a 13″ size overall. The pen requires charge, but uses a super capacitor rather than a battery. Engadget has a great supercapacitor stylus of the technology. It will go for 2 – 4 hours and then need a charge; 15 seconds of charging will give you 80% of the life back, or full capacity in 5 minutes. Ports – Apart from the discreen pen slot (which I’m calling a port because it charges the pen), there’s quite a few ports on this device. 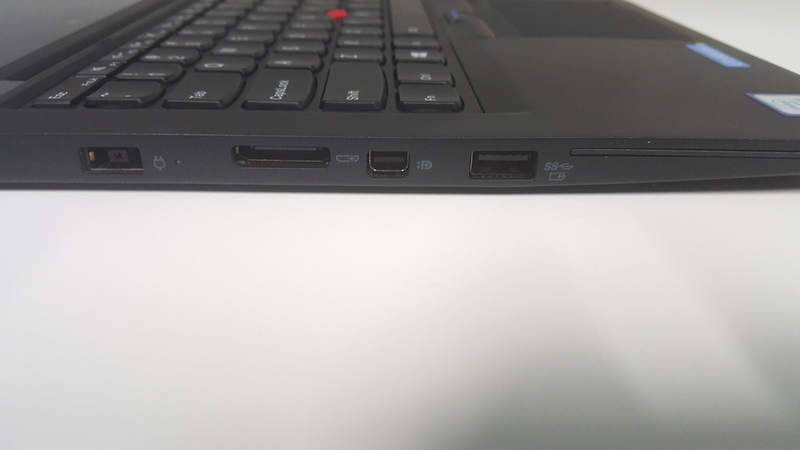 There’s the micro SD slot which is handy if you have another device that uses one (such as a camera), and a SIM slot so you can have 4G straight from your laptop. The other ports are standard, there’s both HDMI and Mini DisplayPort which is nice for options, and the newer dock connection along with 2x USB3. There’s also a very long slot for a card reader, but as this is an optional addon I don’t think mine has the internal card reader. Yoga Mode – As with all Yogas, this laptop does a full 360 on the screen to put it into tablet mode. No complaints about the Yoga mode at all, it has always made sense as an easy way to convert from laptop to tablet mode, and works really well. The laptop itself is very nice to use – the 6th Gen CPU is great, and it’s a nice size to slip into the bag for travel. If you have any questions please post below! This has a OneLink+ dock port, which is an upgrade from the older OneLink. They aren’t directly compatible. You can get an adapter if you have a OneLink+ dock and an older OneLink laptop, but that doesn’t help you if you already have a OneLink dock – you’ll need to get a newer OneLink+ dock! Note: Build your own with USB 3.0 Ethernet dongle, or purchase with a ThinkPad USB 3.0 Ethernet adapter (4X90E51405). Otherwise, use Ethernet (RJ45) port via optional OneLink Dock / Universal Port Replicators. Hi, thanks for the review. Could you say something about the fan noise. Some people have commented that the fan is on quite often and quite loud. But others have said that the fan noise gets better with the bio update of about a week ago. Sure, I’m running a Prime95 stress test right now, and the fan noise is very low. It’s an i5 CPU, so the i7 may be a different story… but the fan noise is lower than what I’d expect. Definitely not the normal whooshing you’d get from a high end laptop a year ago – and I’m going to guess this is partly due to the lower thermal specs of the 6th Gen Intel CPU. I forgot to mention, this is quieter than the Yoga Pro 2 and I haven’t noticed the fan kicking in when doing basic things – I’ve also run a BIOS update, so maybe OOTB it’s worse and the BIOS update addresses it. Just a guess! Thanks for that. I have ordered the i3 to be on the safe side, because fan noise is one of the things I really do not like. My desktop is fanless and that is so nice. But it is good to know the Yoga 260 is relatively quiet. Just in case, the tip can fall out of the stylus and there doesn’t seem to be a replacement option other than buying a new pen. There are tips for sale on ebay if you lose yours. Thanks for the detailed review! Is the screen a glass panel or a plastic one, and would I want a screen protector? Any fear of the pen picking up a grain of dirt and scratching the screen? The pen is a fine plastic tip, so I don’t think you’d catch anything and drag it along to mark the screen. I can’t actually tell if it’s glass or plastic – I’ll find out. The screen is tough and for it to be military grade, it won’t scratch easy – I wouldn’t bother with a protector at all! Could you give some impressions of the battery life? It is only 44Wh, which has me hesitant. It is probably the deciding factor if this is going to be my next laptop or not. It is a smaller battery, but all the 6th Gen CPU stuff from Intel requires less power. Laptop is currently at exactly 50% and Windows 10 claims it has 4 hours 7 minutes remaining. Thanks for the review. Quick question: Are you able to check if you have a smartcard reader installed? I know the slot is there, but there is no option to add one during configuration on Lenovo’s site. I’ve talked to Lenovo’s support people a bunch of time, and literally half of them say it has a standard smartcard reader, while the other half say it’s not available at all. I’ve now checked and no there is no card reader – if it had one, it wouldn’t have the plate over the slot. It could be a region thing, some regions have it as standard while other’s don’t? Thanks for your review on this before any other major reviewer out there! Being a touchscreen, I guess I’ll be utilizing the touch features for things like browsing and whatever else this realm of touch has to offer. How is the screen wobble on the 260? From what I understand, the hinges are pretty strong but just how obnoxious can the screen wobble be? No worries :) Screen wobble is very minimal, and the balance is really good. The Toshiba Z20t has *terrible* balance due to the screen being so heavy and the keyboard light. 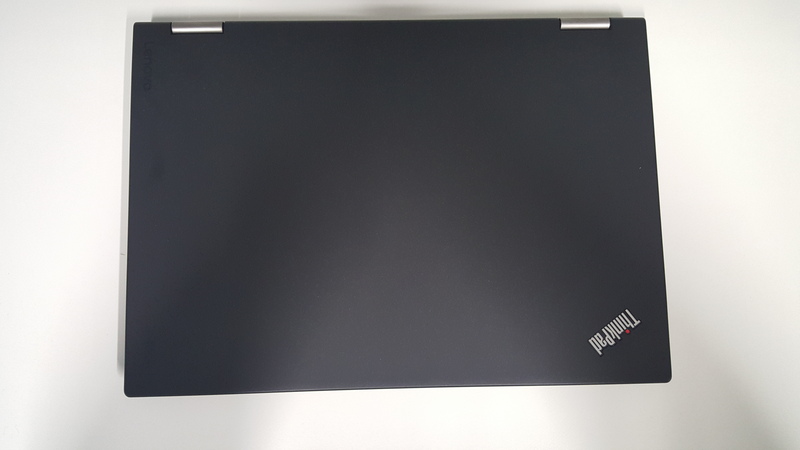 As the screen doesn’t detatch on the 260, it’s as solid as any other good laptop I’ve used – as I mentioned in the review, the hinges look identical to the Yoga Pro 2 which I’ve used happily for a long time with no wobble. How is the screen colour accuracy compared to other laptops? Hi Adam, I have a simple question. If a buy TPY260 with Intel i5 is possible upgrade CPU in the future? Hi Guanluca, no the CPU is soldered in. I’m not a big fan of the Helix. I’ll ignore the Helix Gen 2 because it’s a much lower powered device and I’ve never had one to play with, but with the Gen 1 we’re talking about a 3 year old hybrid laptop vs a brand new model. Aside from the age, I wasn’t a big fan of the form factor. Although, at the time it was released it was one of the best, I’d still prefer a normal laptop. One thing the Helix had though, was great battery life due to having a second battery in the keyboard. Anyway, all that aside the Yoga 260 is still way ahead in every aspect apart from battery. There’s no need to go detachable when going into Yoga mode is easy, light enough and thin enough. Hi! I’ve been looking for a replacement for my daughters old Elitebook 2760p. We looked at SP4, SB4 and other N-trig pen enabled units. The pen was WORSE than the four year old Wacom MMR Elitebook – lots of lag making it unusable in Photoshop and Flash. Have you tried these programs with the 260 pen? Does Wintab driver work on this device? Do you know of any artists using this device? What is the colour depth on this model? Hope you can help and thanks for a great review! I am not an artist, nor have I been able to try photoshop, but I use OneNote to write notes at school and the pen has next to no noticible lag in that program. 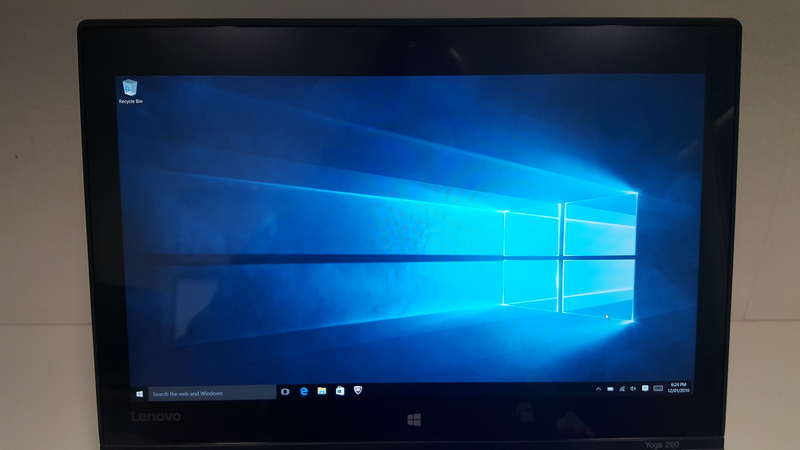 For colour, I can tell you flat out that the display on this computer does not have very good colour. When compared to displays like those on Macs, there is a very noticible lack of colour vibrancy. If colour accuracy is important (as it should be for an artist), I would suggest you look elsewhere. Perhaps Adam can say more. Thanks Rowan … I guess the 260 is not up to our needs as the gamut and gamma are way off! Thanks for trying to help us! I’m not an artist either sorry, so I’m not well suited to answer/test those questions. I don’t think the 260 is targeted at artists, but I’ll ask the Lenovo Insiders to see if anyone else can help on these questions. Thanks Rowan for putting your 2c in – the X1 Yoga and OLED screen (which as you’ve implied, isn’t on all of them) might be the way to go. “If they are worried about having a really good screen because they are making visuals for the print medium, the X1 Yoga. The X1 has 92% sRGB, and 72% Adobe which is about as good as it gets with Thinkpads I think, and you won’t find much better out in the market place with a similar form factor. I’ve used the pen with this device, it’s good. If pen latency is their primary issue, my bet is on the P40 Yoga. Mine should arrive on Tuesday, so I’ll be able to tell you for sure soon. wink emoticon I did get a chance to use the pen at CES, but only in Sketchbook Pro. It did well enough for me to really want one. Hope that helps, and thanks Arthur! Thanks Adam for the valuable information! Hi Adam, I’m very interested in purchasing a 260 and I’m an artist. I’m not as concerned with color fidelity as I am with any potential pen jitter/wobble. Can you test or confirm whether the pen draws relatively straight diagonals when drawing slowly? I have a yoga 12 that has maddening jitter! Thanks in advance. i have a 460 and im sending it back because of it man, terrible jitter at slow speeds.